Home / Blog / What’s in your garage? Hidden poisons that can harm curious pets. What’s in your garage? Hidden poisons that can harm curious pets. Many years ago when I was about 8 years old, my aunt had a cat that she had rescued from a shelter. Taz was a very spunky and curious guy. He could climb any tree and open any door. He even taught himself to go to the bathroom on the toilet like his humans did. Taz loved to sneak out into the garage to explore new things. Normally, that wouldn’t be an issue, but this garage was filled with harmful chemicals, like rat poison, that Taz was all too interested in. All too often, poisons are packaged in bright coloring, which animals can’t resist. Taz was no exception. One evening, the frisky feline wandered into his favorite hideaway, in the hopes of spending the night. He discovered some antifreeze that had been left open. By the next morning, when my aunt realized he wasn’t in the house, it was too late to help Taz. Unfortunately, this is one of those cases where curiosity actually did kill a cat. While we can’t change animal behavior, we can take a few extra steps to protect the pets we love. Here’s a handy guide that will help you make your garage safe for any animal that may find its way in there. Antifreeze. Antifreeze is brightly colored and has a sweet tasting to an animal. It is made with ethylene glycol and if ingested is damaging to the central nervous system, heart and kidneys. Windshield Wiper Fluid and Brake Fluid. Like Antifreeze, wiper and brake fluid can be colorful and have a sweet, attracting smell to an animal. Even a small amount can be damaging to the kidneys and potentially deadly because of the ethylene glycol in brake fluid and methanol in wiper fluid. Rat Poison and Insecticides. These are often found on the floor of the garage and easily accessible to a curious pet. Because they are used to kill rodents and problem insects, they are just as harmful to anything else that ingests them. Ice Salt. Ice salt is appealing to an animal because it looks like sea salt and has a strong odor. The calcium chloride in ice salt is poisonous to dogs and can lead to kidney damage or death. It is also known to burn animal’s paws. Batteries. Batteries are found pretty much everywhere, from kitchen mixers and children’s toys to power tools and vehicles. However, the smaller the battery, the easier it fits in a pets mouth. If punctured, the risk of alkaline poisoning is high. A pet that is showing any signs of poisoning needs to go to the vet right away. What can you do to avoid pet poisoning? The first step you can take, is to be sure any poisons that cannot be replaced with a natural alternative, are placed in an airtight container, which will block the scent. You’ll also want to be sure that the container is not see through. Curious pets see pretty colors and somehow they figure out a way to open even tightly sealed bottles. Also, be sure to place anything that could contain poison high up on a shelf or inside a locked storage cabinet. We know cats like to climb and some, like Taz, can open drawers — but even for a cat, out of sight means out of mind. 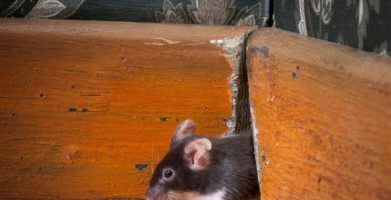 When it comes to rodent and insect repellent, those need to be placed where pests spend their time. That’s the reason EarthKind® developed planet and pet-friendly pest repellents. Our families and pets are too important to risk being harmed. 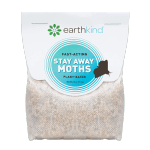 Whether it’s rodents, spiders, moths or ants that you’re trying to keep out of your home, EarthKind has a safe and natural solution. All too often, poisons are packaged in bright coloring, which animals can’t resist. Taz was no exception. One evening, the frisky feline wandered into his favorite hideaway, in the hopes of spending the night. He discovered some antifreeze that had been left open. By the next morning, when my aunt realized he wasn’t in the house, it was too late to help Taz. Unfortunately, this is one of those cases where curiosity actually did kill a cat. Batteries. Batteries are found pretty much everywhere, from kitchen mixers and children's toys to power tools and vehicles. However, the smaller the battery, the easier it fits in a pets mouth. If punctured, the risk of alkaline poisoning is high. Also, be sure to place anything that could contain poison high up on a shelf or inside a locked storage cabinet. We know cats like to climb and some, like Taz, can open drawers -- but even for a cat, out of sight means out of mind. 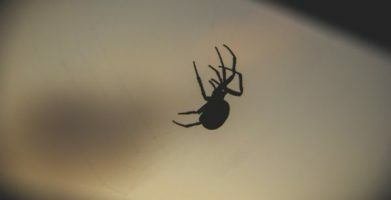 When it comes to rodent and insect repellent, those need to be placed where pests spend their time. 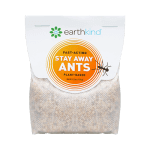 That’s the reason EarthKind® developed planet and pet-friendly pest repellents. Our families and pets are too important to risk being harmed. 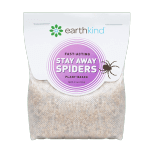 Whether it’s rodents, spiders, moths or ants that you’re trying to keep out of your home, EarthKind has a safe and natural solution. string(67) "What’s in your garage? 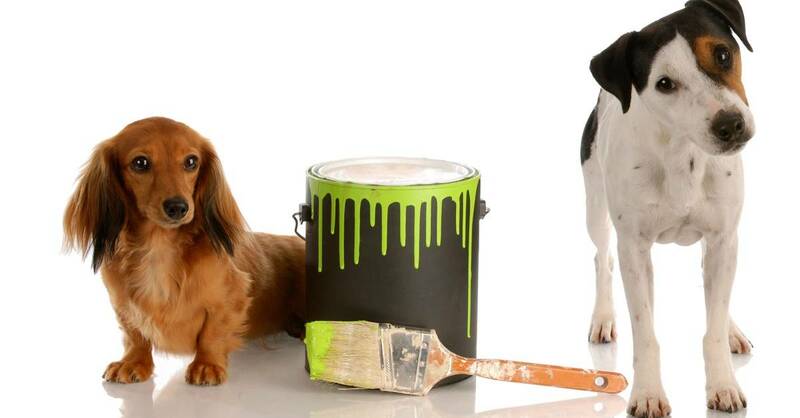 Hidden poisons that can harm curious pets."